Vikram Divecha's artistic practice draws attention to the otherwise invisible and overlooked aspects of the U.A.E's built environment. Working on a monumental scale, Divecha frequently engages local municipal authorities and collaborates with the migrant labor they employ to construct and maintain the urban environment. 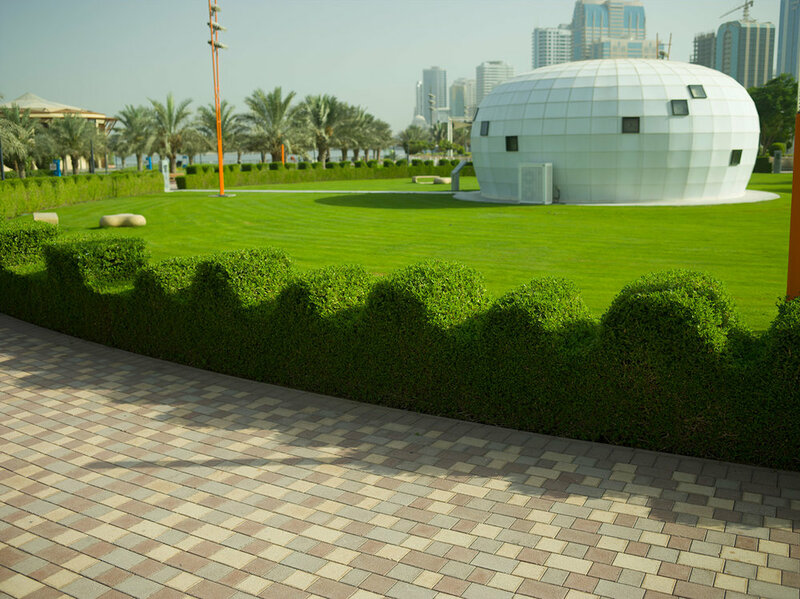 Divecha's Shaping resistance (2015), his first public public project in Sharjah, subtly disrupts the formal order of Al Majaz park by introducing an element of playful irregularity into its precisely manicured shrubbery. Once official permission was obtained from the Sharjah Municipality, Divecha began a two-month collaboration with the Pakistani gardeners responsible for maintaining the park's hedges. 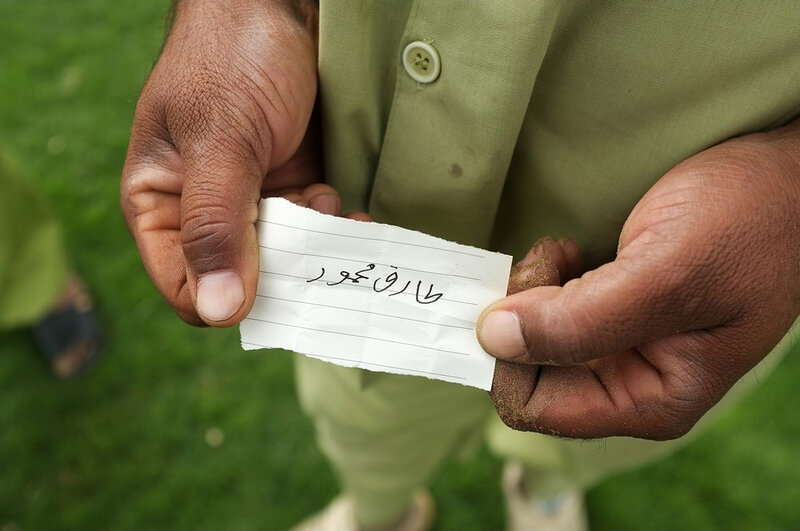 In a series of drawing workshops, the gardeners were prompted to identify and sketch shapes and motifs culled from their visual vernacular that they thought were khubsoorat, or beautiful in Urdu. From this pool of sketches, new designs for the hedges were collectively selected and implemented and will be maintained by the gardeners through the exhibition's run. Shifting agency from the Municipality to the gardeners, Divecha's project replaces routine order with vernacular flourish, enabling a modest moment of self-expression for a group of workers whose daily labor is otherwise invisible, though they toil in plain site. At the gallery in Maraya Art Centre, Divecha presents some of the project's residues - sketches made by gardeners, hedge trimmings piled up on garden mesh that mimic how they are collected in the park - accenting the gallery with material traces of his public intervention. The hedge designs are now maintained regularly at the park as a permanent artwork. This project was made possible with the support of Maraya Art Centre team, Shurooq and Sharjah Municipality. The ‘Lucky draw’ chits register an incident where in the gardeners rejected the alphabetical order of their names in English deciding whose design is implemented first on the hedge. Instead, they implemented the random system of a lucky draw to decide who gets which section of the hedge.